We would highly recommend Mr. Javad Ahamad Zabihi. He was with us all through the process of sale of our property to the purchase of a nice house, exactly what we needed. He always was available to provide advice when needed as he was available to meet. He provided an excellent customer service by understanding our needs and preferences. Javad went above and beyond with providing support in home improvement for the sale of our house and he provided estimate and advice on cost-effective renovation for the new purchase. He was very patient in the whole process of sale and purchase and he always considered the best interest of clients. We had a very positive experience and we would choose Javad Ahamad Zabihi again for further investment. I will recommend Javad to anyone looking for a detail oriented, resourceful, well connected Realtor looking for the RIGHT home for them. Not only does he check all the boxes professionally, he goes the extra mile to make sure you are comfortable and informed. He really took the time to understand our family as people, rather than clients. It is with dedication to understanding our desires and needs that he was able to introduce us to our new home. Buying and selling a home can be stressful and complicated. Javad was there every step of the way with our interests at heart. Constantly giving us excellent council and pointing out things we would never have thought of. He makes things happen with his extensive network of professional contractors and tradespeople and he always seems to know where to go. The property we bought required a great deal of creative and professional negotiation to purchase our new home significantly below market price. This is where Javad really shined. Simply put: THANK YOU Javad, from our entire family for helping us find our new home. I already have recommended Javad to a friend and I will again. Javad gave us a fair assessment of the value of our house and helped us through the process of making it most attractive for sale. Javad helped us with our staging strategy, including painting, floor renovations and staging. He always provided excellent council and took to heart our concerns. In execution Javad’s diverse network of contractors did a fine job for a fair price. With excellent strategy combined with shrewd negotiation, Javad secured a good price for our house in the time he promised. Thank you, Javad, for helping us through this sale. I had the pleasure of working with Javad recently and I can't say enough about how great he was through the whole process. He was very professional and really took the time to know our family and understood our wants and needs. He made sure we were well informed and through his implacable negotiation skills, we got more than expected. His knowledge, guidance and advice is unbeatable. If you are looking for a Realtor, look no further cause Javad is there to help you. I thoroughly recommend Javad. He went over and above the call of duty and fixed a few issues that were to do with maintenance. Tried to achieve the best deal for us rather than a quick sale for himself and in the end he negotiated a good sale for us. To sum up: courteous, trustworthy, communicative and a skilled negotiator. Our experience with Javad was a very pleasant one. We ended up buying our first home through him. Javad answered all our questions with reasonable evidence and market research. He was through out the process realistic, trusting and honest. Besides helping us buy the house he was able to help us identify potential problems, improvements and solutions. He made this process rather simple for us. We would highly recommend Javad. Javad helped us sell our home. He came to our first meeting enthusiastic and well prepared, and every interaction I had with him after that was the same. He proposed an efficient sale process, arranged for the staging and photographs, gave me good and thoughtfully critical advice on finishing the house. We had a great experience working with Javad. I couldn’t believe how responsive he was to all of our requests and questions, and he knew far more than we ever hoped to about the process of selling/buying a home. I can’t wait to work with him again. "Javad was amazing!! He was well prepared and knowledgeable and current on the market at the time and what was expected. He listened attentively and was very in tune with my needs which allowed him to zone in very quickly on the perfect house for our family. I was dreading the leg work involved with finding a new home and Javad made the entire process enjoyable and easy! I would recommend Javad to anyone looking to buy a new home. He was attentive, ethical, knowledgeable and very professional." "My agent Javad helped me to purchase my first home. The market was crazy. Most of the houses had multi-offers and were sold for over asking price. Since it was my first home, I had no idea about the house. My agent put tremendous time with patience. He gave me a lot of information. He was always there to answer my questions or help me. He was so serious and precise and he knew exactly what type of house would be of my interest.We viewed a lot of houses and finally found the best one that suited my needs and budget. He put so much effort to negotiate about the price and I purchased the house for a very good price comparing the market value. I found him very fair and friendly and would definitely recommend him to anyone who is buying or selling a house." " We have bought and sold four properties with Javad in 2016 and 2017. 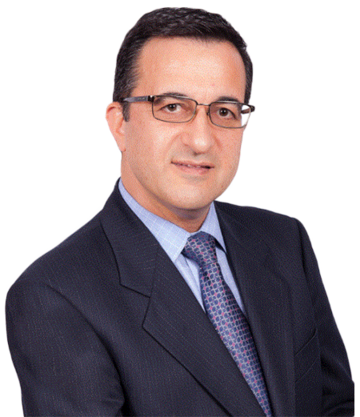 Javad is a true professional and deeply dedicated to his clients. He is very knowledgeable and has a good understanding of real estate laws and regulations. He is always punctual and on time with his showings and appointments. His engineering background provides him with a keen eye for details. He is resourceful and has many great ideas on improving curb appeal of properties he represents. He is a pleasure to work with and I strongly recommend him. When you select Javad as your realtor, you can rest assured that your interests are well protected and you will get an excellent service." "We truly appreciate your exceptional client service. Your expertise with your sense of understanding and responsibility helped us every step of the way from searching for properties to making decision and even with any issues after signing the contract. Thanks for helping us specially with my sister being abroad."